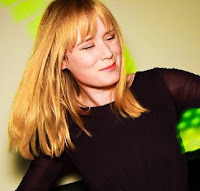 * For her next trick, Irish pop's proto-Gaga Roisin Murphy has been in the studio working on an "epic track" with a coterie of UK hip-hop artists. "Demon Lover", she told me cheerfully at Somerset House during London Fashion Week, is "a bit of an all-star event, with lots of British talent like Wiley and Kano". But the singer, 37 (best known as the former frontwoman of Moloko), explained that the band at the top of her wish list of collaborators had proven elusive so far. "I never normally say who I'd collaborate with, but the truth is – and it may never happen – it would be a dream come true to work with [art-house electro outfit] Daft Punk. How do you track them down, though? I mean, they live in a subway in Paris or something." Murphy will next be able to catch the perennially helmeted Parisians appearing briefly in December's sci-fi sequel Tron: Legacy, for which they've composed the soundtrack. 'Demon Lover,' somewhat tragically, sounds like the biggest potential hit of her career. It's a grower but I believe it has potential. Shame! But as long as we get the music I am happy as Larry (if Larry is indeed happy)! it needs to come out sooner rather than later. she can't sit on it forever, hit or no hit. Proto-gaga? The writer of this needs to learn that Roisin has been around for a lot longer than Gaga. and it would be fantastic if roisin collaborated with Daft Punk! Seriously the phrase "proto-Gaga" annoys me, also since when are Daft Punk "arthouse electro"? But a collab with Daft Punk would be epic, the video could have a robo Róisín that shoots lasers out of her eyes!